The eyeballs are extremely vulnerable to Laylee's sonar. It will actually destroy them outright in a lot of cases and if not, they will stay stunned more than long enough for you to combo them into oblivion. Corplets are surprisingly smart and will try to form squads and surround you, assaulting you from every side at once. This doesn't matter much early on when you encounter them in low numbers. But starting from world 4, you will start running into massive mobs of them supported by bees, some of them being even mandatory to defeat. So you better get used to using the sonar to stun foes. I love how people say the worlds are "lifeless" and with few NPCs. They should replay the first Banjo game. There were really few NPCs overall in that game. Tooie had more though. Omega wrote: I love how people say the worlds are "lifeless" and with few NPCs. 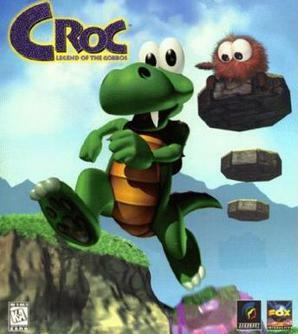 They should replay the first Banjo game. There were really few NPCs overall in that game. Tooie had more though. I would argue the lack of variety, as most NPCs repeat themselves from one world to the next in YL. In Banjo, there's more variety (as well as in number) throughout the whole game. And also the enemy variety in Banjo is much higher. Scrubber wrote: Something I've been wondering... Capital B. Is it a reference or a joke I don't get? Cause I don't really get why he's called that. Also he says every now and again, a reptile once came through here before, he was obsessed with crystals, what's that a reference to? I assumed Capital B was a reference to Big Business, which probably-not-coincidentally is Capital B's, well... business. He's also a capitalist and a bee. So all of these together form his name. I have to admit, I wasn't TOO impressed when Playtonic first revealed Capital B's name, but I liked his appearance, and the name did grow on me, so it's all good... I wonder what the "B" stands for, though... Maybe we'll have ourselves a "Winkybunion" situation in the sequel! Anyway, I went back to Tribalstack Tropics to get all the "important" items from there, as well as a few more Pagies to boot. I'm rather ashamed to admit that I had to look up where one Ghost Writer was, as well as the Health Extender. Not that I couldn't find them on my own, I just feel pressed for time when it comes to what games I want to play. I also went back to Glitterglaze Glacier, got a Pagie there (BTW, Planker's a prick, in both senses of the word), got the transformation for that, and I have to say, that freaking Snow Plow is obnoxious to control, ESPECIALLY when you're trying to jump onto platforms that are slightly bigger than you are. Maybe once I have more time and patience I'll tackle it again, but for now I just can't. No real progress in the story or Hivory Towers this time, though. I probably will tomorrow, though. BTW, does anyone know how to get that Pagie that the "I.N.E.P.T." is guarding? And more importantly, how am I supposed to find out in-game? Does one of the flowers tell you after you transform into a plant? EekumBokum202 wrote: . BTW, does anyone know how to get that Pagie that the "I.N.E.P.T." is guarding? And more importantly, how am I supposed to find out in-game? Does one of the flowers tell you after you transform into a plant? Use buddy slam to copy the pattern from the wall. It's s bit of a banjo style puzzle. Scrubber wrote: Also he says every now and again, a reptile once came through here before, he was obsessed with crystals, what's that a reference to? My first thought was Croc. It might be a little far-fetched but at least he collects crystals. What about K. Rool and DK64's crystals? I think they mean that..
Yep that will be it! What did Gex collect? Remotes and random collectables based on the level's theme. Oh and butterflies. Scrubber wrote: Yep that will be it! What did Gex collect? Yavga wrote: Remotes and random collectables based on the level's theme. Oh and butterflies. Mhhh..., Gex was developed by Crystal Dynamics, though. Ahhh could be either then. Good thinking. Wonder if they'll every tell us. This might be a silly question, but is the DLC only for backers, or is it for everyone but will be free only to backers? wwwarea wrote: This might be a silly question, but is the DLC only for backers, or is it for everyone but will be free only to backers? For everyone, but free for backers. Scrubber wrote: Use buddy slam to copy the pattern from the wall. It's s bit of a banjo style puzzle. Dang it, that feels SO obvious now! But then again, I couldn't really see the patterns on the wall given the forced perspective whenever I approach the I.N.E.P.T. Still, thanks for the tip-off. Just got a "grabbed the Ghouls" achievement. Wish they hadda put more of these references in. Pagie missing in Moodymaze Marsh. Triple checked everything with an online guide. For those who have experienced it, what did you think about the game's ending sequence? Seemed a bit anti-climactic to me. Once you find 100 Pagies, you can go and immediately begin the final battle. I missed the ending "worlds" like the suspenseful times Hideout Helm challenge in DK64, or the scenes with Cauldron Keep before the final battle in BT. None of that in Yooka-Laylee besides a rehashed quiz show. Besides that, the final cut scene was very meh. You beat Capital B, have a short conversation with him, then he gets trapped in a book. Nothing like the Mighty Jinjonator sending Grunty falling to her death in BK. Despite the hints at possible future games and villains, it was all just disappointingly anti-climactic. It's late where I am right now, but I've made more progress in Yooka-Laylee and I REALLY want to talk about it! Since I'm beyond the third world by now, though, I feel like I should preface what I say with *SPOILERS ABOUND*! I'll try to spoiler-tag anything I think is too deep into the game or truly qualifies as spoiler-territory, so sorry if I DO reveal something I wasn't supposed to. So anyway, I make it a point to at least unlock Dr. Puzz's transformation, play Rextro's mini-game, get the high score on said mini-game, ride Kartos, learn Trowzer's new move(s), and fight the boss of the world before moving on to the next one, BTW. I know it's going to take me FOREVER to actually get all the Pagies, Quills, Ghost Writers, and upgrades otherwise, so I just stick to the former things for now, while picking up as many Pagies and Quills that I can, and if I'm lucky, pick up other things as I find them. I've warmed up to World 3 as I explored it more, the music is REALLY good, and I think I'm able to tell where I can and can't go, so long as there's enough light to show me what's poison swamp and what's ground. The boss fight was ESPECIALLY awesome I feel; I thought the other two were okay, but this one was a good fight, and awesome boss music to boot! , not to mention I kept crashing into things... yet I STILL managed to get the amount of gems I needed and thus win a Pagie. Derrick from GameXplain said it best, these minecart rides are a BIT too easy, especially if I can blindly flail about and still come out on top. Not that I mind, it means I don't have to do them again (which I ended up doing in World 2), but still, they aren't anything to hate on, they're just rather awkwardly executed, like the quizzes (which I'll get to in a moment). I also think it's unnecessary to give me the option to shoot stuff, since I barely use it and when I do, I rare hit anything. The whole thing just feels like either an afterthought or something slapped together rather than a true call-back to the minecart rides of Donkey Kong Country, which Kartos's character is CLEARLY trying to invoke. Rextro, on the other hand, isn't as bad. His mini-game this time was just kind of "eh"; it's kind of like the last one only not as action packed. Plus the method of attack is weird on top of that. Unless there's a mini-game in world 4 or 5 that's REALLY frustrating or dumb, I'm ready to say the hate for Rextro is a BIT overblown. he said that was the FINAL quiz. I was like "really, that's it?!"" I mean, I would have expected at LEAST 3 quizzes, or if there are just two quizzes, have the second quiz be closer to the end of the game; you know, like how the quizzes in the Banjo-Kazooie games are always at the end to test your knowledge of everything you've experienced up to that point. This, more than anything, feels like an incredibly lame and phoned-in execution of a time-honored tradition of that classic series. Maybe the quizzes were SUPPOSED to be nothing but annoying, that's certainly what the characters implied, but given the comedic and sarcastic tone of the game, I can't help but feel like they were meant to be self-depreciating humor and not what you're actually supposed to think of the game... Either way, if there IS a "Twooka-Laylee", I hope the quiz or quizzes in that game are better executed (like the minecart sections, should Playtonic choose to bring them back). Alright, just wanted to get my thoughts out there before I go to bed, thanks for reading!